The Washington, DC – Baltimore (WDCB) Chapter was chartered in December 1955. Volunteers manage the chapter and serve as officers, committee managers, and committee members. 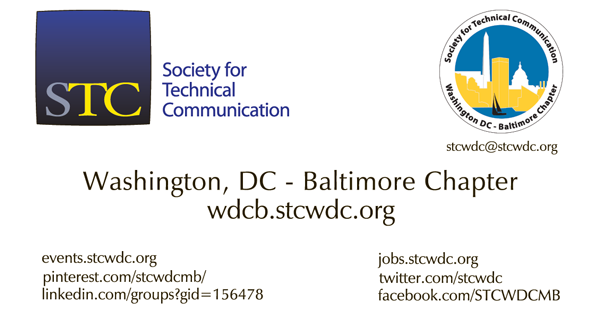 The chapter provides education, networking, recognition, and leadership skills to technical communication professionals in the Washington, DC metropolitan area. The competition is open to members and nonmembers, who submit samples of their work for judging by their peers. 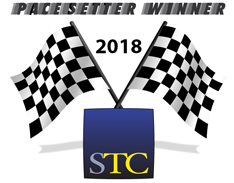 Entries may include books, brochures, graphic and packaging designs, hardware and software documentation, newsletters, online presentations and publications, periodicals, promotional material, technical reports, technical graphics, and video. Awards are presented at four levels: Distinguished Technical Communication, Excellence, and Merit. Winners are honored at a gala Awards Celebration and the best of the winning entries are submitted to compete in the International Summit Awards Competition. 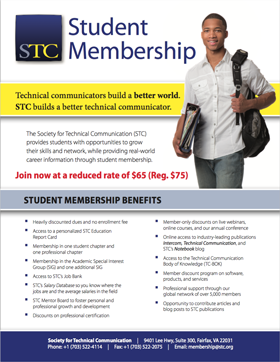 The Society for Technical Communication (STC) is a Section 501(c)(3) organization for technical communicators. 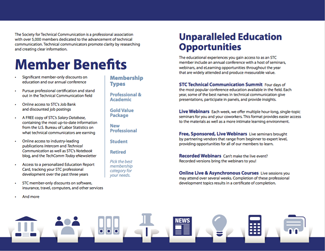 This shows the membership brochure, student membership flyer, and a quick-link box to membership information. 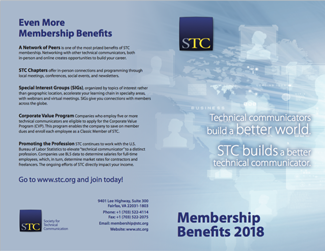 STC has the resources you need to help you do your job better and move your career forward. This website helps you find job openings and provides information about many employment resources for looking for a new job or a career change. Technical communicators translate technical information into plain language that is easily understood by the user. They can convey scientific and technical information precisely, accurately, and clearly. Technical communication is recognized as an increasingly essential occupation in business and government. 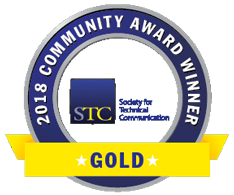 Technical communicators work with scientists and engineers in offices, factories, banks, hospitals, laboratories, from home, and on military bases. They work on a team, by themselves, as staff writers, managers, contractors, and consultants.